PART II: Were the Haze Hardships caused by Men? Before the Lakagígar eruption, the population of Iceland was 48810 people; four years later, it was down to 38518. Disregarding about 1500 deaths which were caused by a smallpox epidemic, the eruption may still have killed about 1/6 of the population . These deaths were not directly caused by the lava or by toxic gases. The main cause was hunger. Having lost their sheep and cows, people cooked shoes and leather ropes, and even dug up old fish bones from the rubbish heaps. But it was not enough. “From the time the eruption started until New Year 1784, the death rate caused by its poison was not so high”, wrote Reverend Jón Steingrímsson , “but from New Year onwards, it grew more and more…” With only one surviving horse in the whole parish, it became difficult to bring the dead bodies to the church, and the enfeebled people were hardly able to dig the graves. On certain Sundays those who could still walk would gather at the church, hack a hole through the frozen earth, and bury all the coffins from the previous week in a single grave. The famine not only affected the parishes close to the Lakagígar but took hold across most of the country. The Icelandic population between 1783 and 1787. It is not exactly clear what historical sources mean by “Landfarsótt” (literally “illness travelling through the country”), but is has been argued that people were succumbing to normally harmless diseases because they were weakened by hunger. Data taken from . 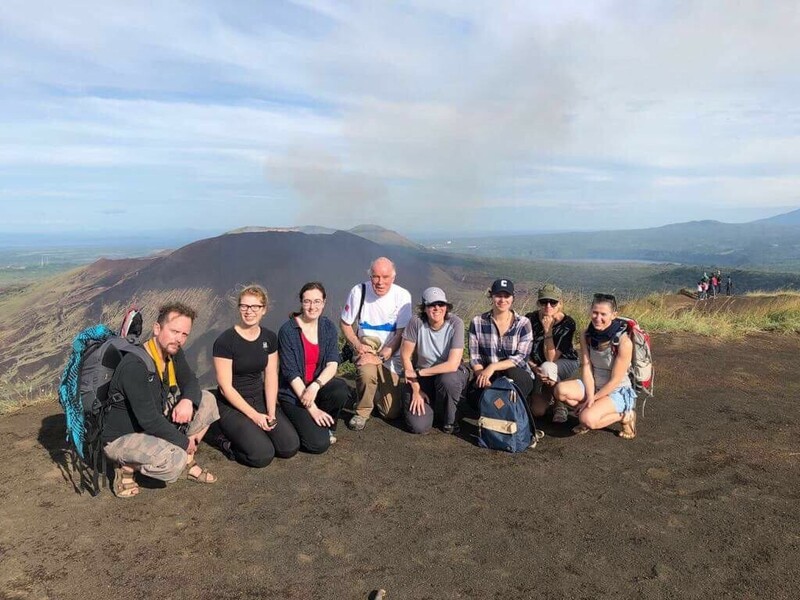 Crucially, there were six months between the onset of the eruption and the beginning of the famine – six months to take action to prevent starvation. Iceland lacked the resources to cope with the loss of more than half its grazing animals. But Iceland was a dependency of Denmark, so why were no efficient measures taken by the central government in Copenhagen? And why was the Icelandic society so vulnerable in the first place? The fish and sheep paradox: a society primed for disaster? Denmark was an absolutist monarchy but the king was mentally ill. His cabinet minister and the crown prince struggled for power and left it to the Rentekammer (finance department) to deal with Icelandic volcanoes. The officials in Iceland were reluctant to act without consent from Copenhagen, but communication was difficult. In winter, no ships would cross the Atlantic. Iceland was an underdeveloped society constantly threatened by famine . Although the island offers poor farm land, it is surrounded by a rich sea, teeming with fish. Yet, paradoxically, almost all inhabitants were farmers of farm labourers. Even distinguished parsons like Jón Steingrímsson spent their summers mowing grass, ever fearing that the cows and sheep might starve in the long winters. Several high officials recognised that developing the fishing sector was the only way to get Iceland out of poverty. In addition, fishing was less vulnerable to cold summer weather or volcanic eruptions. But despite this, fishing remained a side occupation. The fish prices were also kept artificially low by the Danish government, so in good farming years there was little incentive to fish more. And to make things worse, the relatively wealthy Icelandic landowners actively discouraged fishing as they feared losing their cheap farm labourers. Although in normal years the Icelanders produced enough to feed and clothe themselves, they depended on vital imports, such as wood, iron, and fishing lines. In exchange, the Icelanders offered wool products, mutton, and dried fish; the latter brought the most profit for the merchants. The trading system hampered Iceland’s economic development but also its ability to respond to natural disasters. Trade was carried out by a group of Copenhagen merchants who had a monopoly. Their ships visited the Icelandic harbours in late spring and returned to Denmark in early autumn. Prices were fixed by the government, and although this offered the Icelanders some protection from avaricious traders and price fluctuations, in the long run, the low fish prices undermined economic development. The merchants also insisted on a barter trade rather than paying with money, this made it hard for the Icelanders to make investments or save for a bad year. Farmers in need were entitled to get necessities – grain and tools – on credit for one year. But in spring 1783 the central government in Copenhagen felt that this rule had been abused and sent strict orders to the merchants to give fewer loans and collect outstanding debts. So when disaster struck a few months later, the trade representatives were unwilling to hand out grain on credit without further orders from Copenhagen. 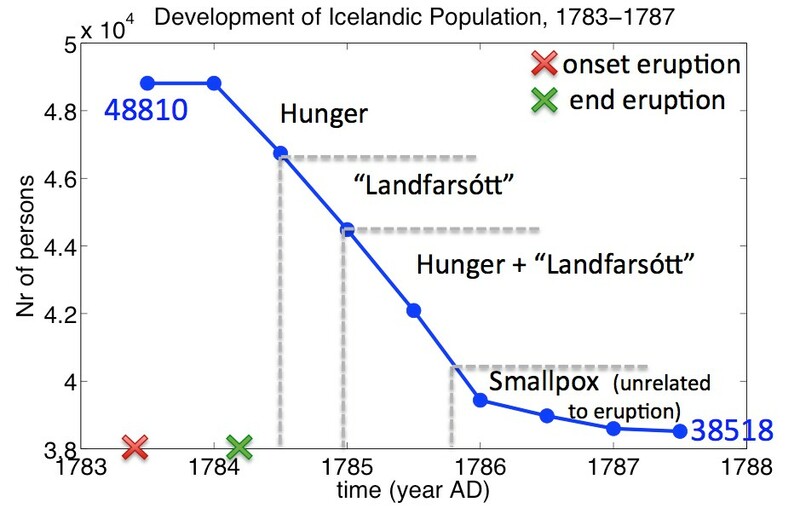 In spring 1784, the trading ships sent to Iceland carried no additional supply of grain, even though it was obvious that there might be an increased demand for foodstuff. The investigation ship, after its winter stay in Norway, reached Reykjavík on April 16th. In mid-July, it returned with the frightful news that thousands of people had starved all over Iceland. This finally provoked some serious action in Copenhagen – 13 months after the onset of the eruption. About 500,000 kg of flour was sent to Iceland, paid by the Crown and the money collected in winter. But many Icelanders could not even collect the grain from the trading harbours for want of horses. Jón Steingrímsson complained that it would have been better to send fishing and seal catching equipment. The government also issued orders to the trade representatives to distribute the lower-quality part of the winter fish catch among the hungry Icelanders. But the orders got lost, and apparently the local Icelandic officials were unable to enforce such measures on their own. 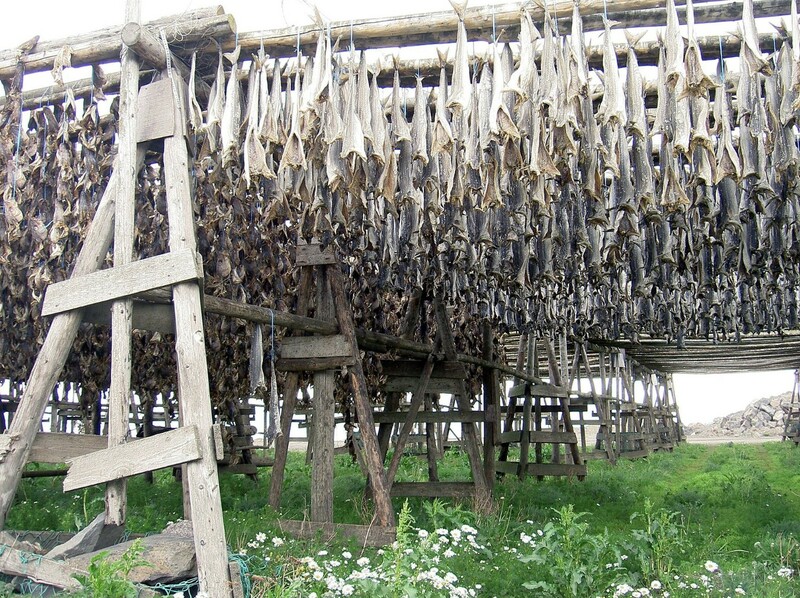 In summer 1784, a million kilograms of dried codfish was exported from Iceland – enough to provide 6000 people with sufficient calories to last 8 months. And so the famine in Iceland continued for another winter, again killing several thousand people. The measures taken by the government – both in Denmark and in Iceland – had proven completely inadequate to prevent disaster. During the winter 1784-85, some officials in Copenhagen wondered whether Iceland was actually still inhabitable. They may have contemplated giving up the island altogether and deporting the entire remaining population to Denmark, although official protocols only speak of resettling 500-800 “unproductive” persons. Even that measure was eventually dismissed in early 1785; maybe it was deemed too costly. Meanwhile, the Danish minister of finance, Ernst Schimmelmann, considered selling Iceland to Great Britain in exchange for some tiny island in the Caribbean. But the British government was not interested in taking over Iceland, which seemed to offer no profit whatsoever. When the Icelandic economy slowly recovered after 1785, the Danes were less keen to get rid of their old dependency. It has often been claimed that bad harvests in France after the Lakagígar eruption helped to trigger the French Revolution. But despite temporary damage to plants during the hazy weeks in June and July, the harvest in central Europe remained satisfactory. The haze actually helped to protect the crops from excessive solar radiation . However, the cold and snowy winter 1783/84 may have caused despair and discontent among the poor, and queen Marie-Antoinette was criticised for praising the good sledging conditions while people where freezing to death. But more than five years passed between the Lakagígar eruption and the French revolution, making a direct causal connection quite implausible . The Haze Hardships also failed to bring about a much-needed economic revolution in Iceland. The trade monopoly was lifted in 1787, but trade between Icelanders and foreigners remained forbidden, and no significant development of the fishing sector occurred for decades to come. The Lakagígar eruption was a dramatic event and caused a lot of suffering, certainly in Iceland and possibly beyond; but it was no turning point in history. Blog post written by Dr Claudia Wieners. Claudia is a postdoctoral researcher at the Institute for Marine and Atmospheric research, Utrecht (Utrecht University, Netherlands). She did a PhD on the possible influence of the Indian Ocean on El Niño. Recently she started working on the interaction between climate, economy and policy, focusing on the potential role of (sulfur) geoengineering. She is also involved in the Centre for Complex System Studies in Utrecht. 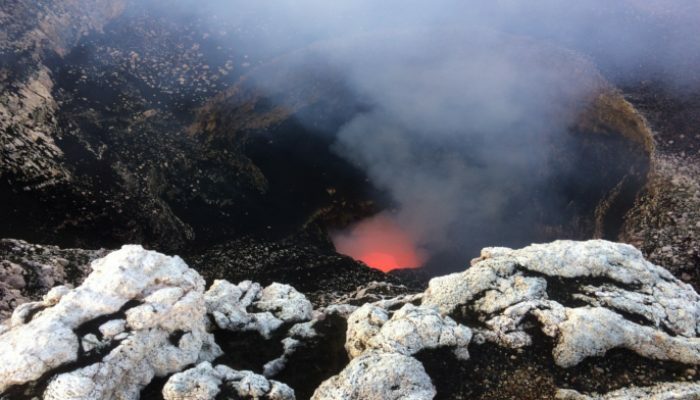 Jón Steingrímsson’s famous account on the eruption is available for free in Icelandic: http://baekur.is/bok/000339579/4/13/Safn_til_sogu_Islands_og_Bindi_4_Bls_13. An English translation was made by Keneva Kunz under the title “Fires of the Earth”. A good overview of the Lakagígar eruption is presented in “Eruptions which shook the world” by Clive Oppenheimer, chapter 12. The description of the consequences of the Lakagígar eruption in Iceland and the intervention (or lack thereof) by the Danish government is based on this book: “Skaftáreldar 1783-1784: Ritgerðir og heimildir” (The Skaftá Fires 1783-1784: Articles and Sources) edited by Gísli Ágúst Gunnlaugsson. It is in Icelandic but has English abstracts. 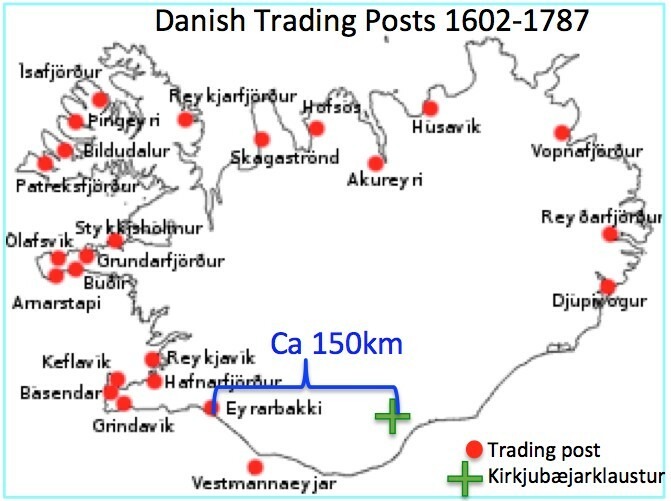 The Icelandic Trade Monopoly is discussed in Gísli Gunnarsson, “Monopoly trade and economic stagnation: studies in the foreign trade of Iceland 1602-1787”, https://babel.hathitrust.org/cgi/pt?id=uc1.b3524053;view=1up;seq=37. The book also deals with the economic side of the Lakagígar eruption (chapter 9). “On the 8th of June 1783, at Whitsun, there gushed forth from the mountains behind the summer pastures a fire which devastated land, cattle and humans with its effects, both nearby and far away”, wrote Reverend Jón Steingrímsson of Kirkjubæjarklaustur in his autobiography . 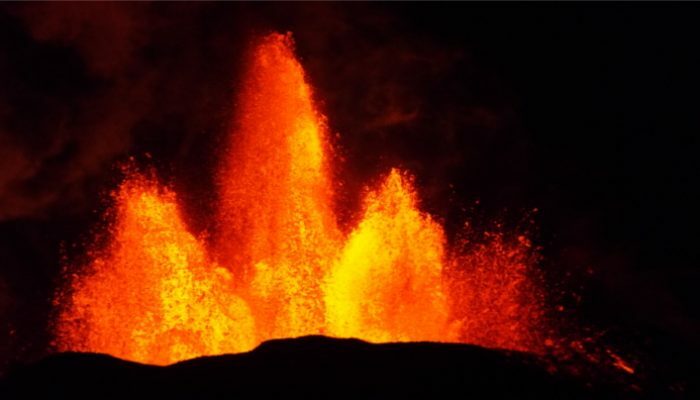 The “fire” which welled up from a volcanic fissure now known as Lakagígar (the craters of Mount Laki) was the biggest flood basalt eruption in written history, and led to the worst natural catastrophe Iceland ever endured. Within three years, the population dropped by about 20%. But was it merely the volcano that killed these people – or are humans also to blame? Map of the surroundings of the Lakagígar. See here for an interactive map of Iceland. The opposite was the case. The river Skaftá dried up, and a few days later, a flood of fire emerged from its gorge. The lava followed the riverbed and slowly spread over the lowlands, burning down farms and mowing lands. 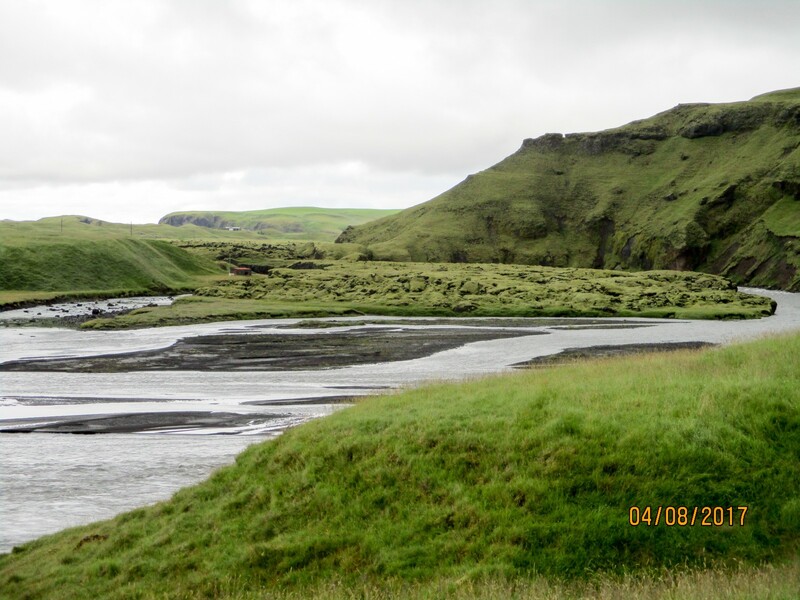 Other farms were flooded by boiling-hot water where the lava dammed up the tributaries of the Skaftá. Within two weeks, the Lakagígar discharged some 6km3 of lava; in total, the eruption would eject 15km3. By July 20th, the lava had advanced eastwards in the Skaftá riverbed, threatening the little parish church of Kirkjubæjarklaustur. Reverend Jón led his congregation to what he believed would be the last service conducted in this church. It was hazy and dark, except for bolts of volcanic lightning. The earth shook and trembled, and the bells echoed and wailed with the cracks of thunder, while Reverend Jón gave his sermon, telling his parishioners to submit to God’s will. When they left the church and headed to the tip of the lava flow, fearing for the worst, they found that the lava had miraculously stopped. The people believed that Reverend Jón had performed a miracle, halting the lava by the force of his prayers. Jón himself was convinced that God had stopped the lava, but being scientific-minded as well as deeply religious, he tried to figure out how God had achieved this, and concluded that the little rivers coming down from the hills must have cooled and solidified the lava . After the “fire mass”, the volcanic eruption seemed to abate. Only small amounts of lava trickled down the Skaftá valley. But nine days later, the northern part of the Laki fissure started to erupt, sending yet another flood of lava down the gorge of the river Hverfisfljót. 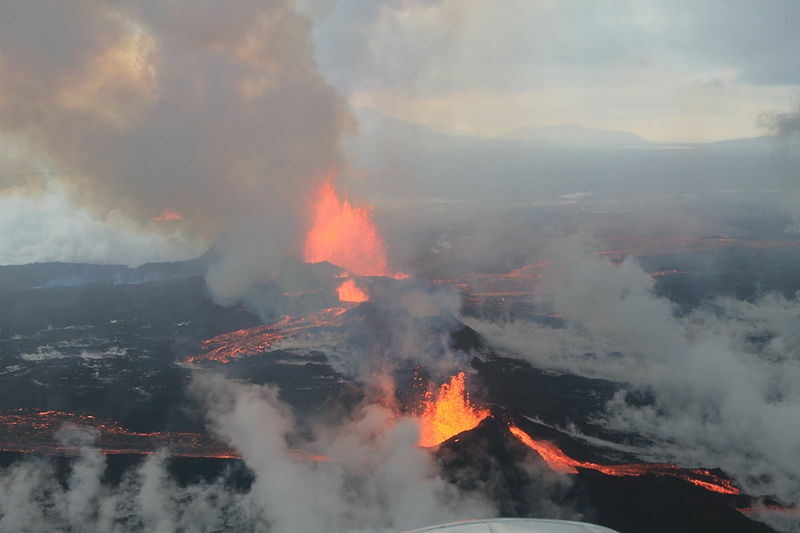 The terrified inhabitants of the Síða district feared getting caught up between two fiery streams, but luckily the lava flows stopped just before the coastal marshes, leaving the travelling routes open. 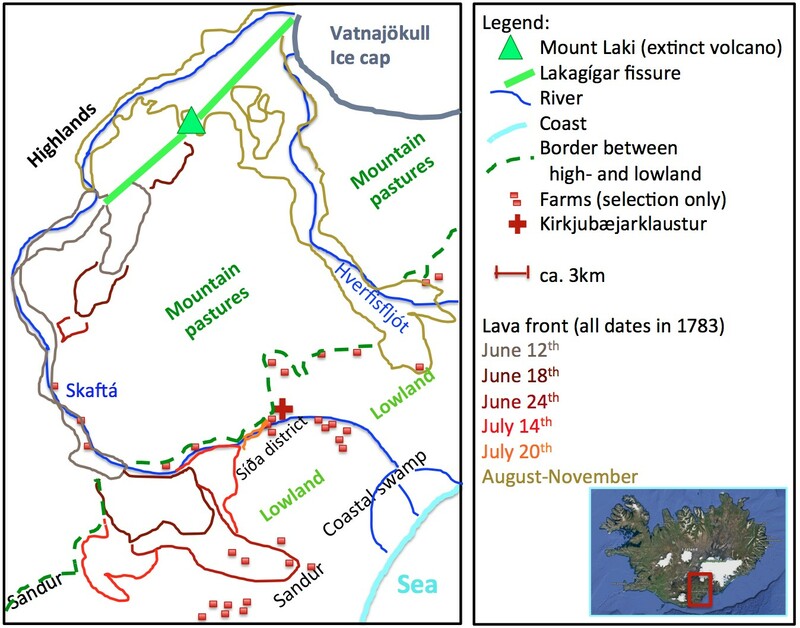 No one was killed by the lava, but when the eruption finally ceased in February 1784, 37 farms had been devastated by lava flows, dammed-up rivers, ash fall and sand storms  – almost 1% of all Icelandic farms. The loss of farms was a tragedy for the local population, but the volcanic fog and ash caused a national catastrophe. The Lakagígar eruption was mainly effusive, but there was also some explosive activity due to violent degassing and interaction between lava and ground water. This generated a volcanic plume which covered the island in a thick haze and may have reached the stratosphere. It was this fog which gave the period after the eruption its name: “Móðuharðindin” – the Haze Hardships. The formation of a volcanic plume. 1) Magma with dissolved gasses rises to the surface. Degassing starts due to decreasing pressure. 2) Violent degassing and evaporation of heated ground water thrust lava fragments into the air, leading to lava fountains, ash formation and a high eruption plume (up to about 12 km). 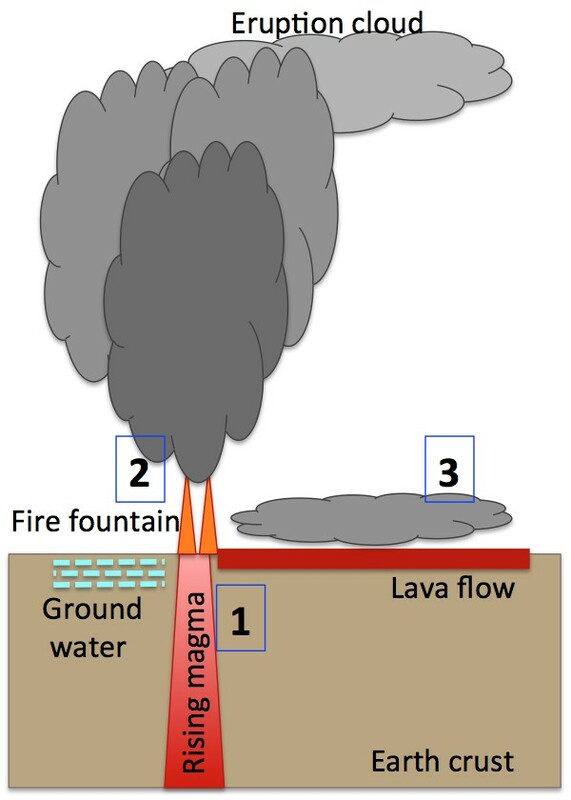 3) In addition, gases are slowly released from solidifying lava streams, contribution to a local haze. The gases released by the eruption caused widespread destruction. 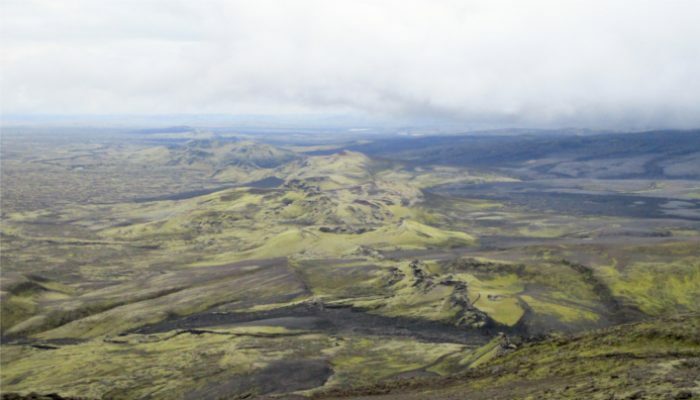 H2S (hydrogen sulfide) smothered the whole of Iceland with a sickening smell of rotten eggs. But the 120 megatons of SO2 (sulfur dioxide) had worse effects . The SO2 reacted with water vapour to form H2SO4 (sulfuric acid). H2SO4 attracts water molecules, forming little droplets which caused the haze. The sun appeared blood red or was blocked altogether. Acid rain burnt holes into the skin of newly shorn sheep and caused irritated eyes and lungs in humans. It also destroyed the vegetation. Within a week, the grass became withered and yellow. The timing of the eruption could hardly have been worse: it started at the beginning of the hay harvest season. 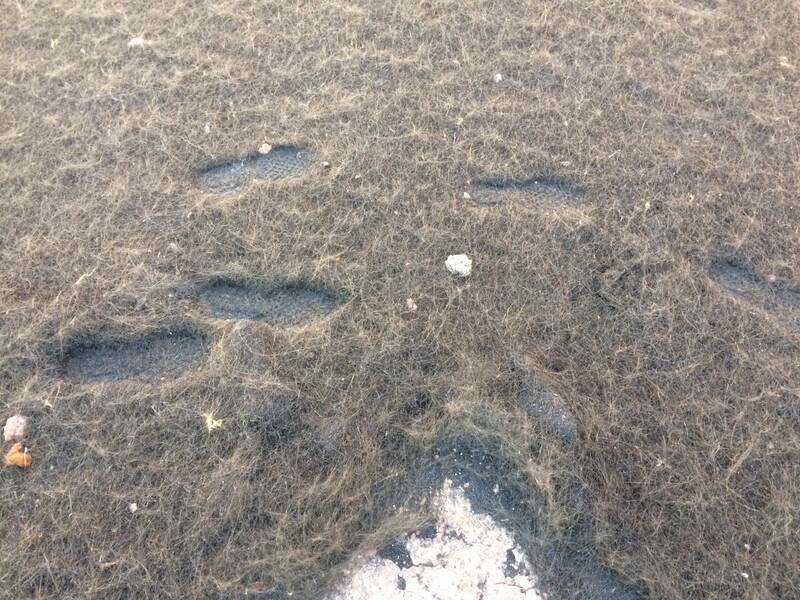 Farmers throughout Iceland could harvest only meagre amounts of hay, and what they got was spoilt by ash. Some tried to rinse it, but to no avail. Reverend Jón noted that the hay burnt with a blue flame – like sulfur. The Lakagígar also released 8 megatons of fluorine . Most of it got adsorbed to the surface of fine ash particles which spread over most of the country. The rain washed the fluorine into the ground, poisoning the grass and the grazing animals. The sheep near Lakagígar perished within two weeks, the cows and horses survived somewhat longer. By the winter, the fluorine poisoning had reached wide parts of the country, killing 80% of the sheep, 40% of the cows and 50% of the horses. Wild birds perished in flocks; so did the fish in lakes and rivers. Only marine life seemed unaffected, and there is no evidence of massive human death caused directly by the haze . Beyond the shores of Iceland, nobody knew what was going on. Due to the island’s isolation, it took two and half months for the first sketchy news of the eruption to reach Copenhagen. The volcanic fog travelled much faster. Owing to sinking air masses in a high pressure area, the foul fumes accumulated over Europe by the end of June . The reddish sunlight, acid-damaged plant leaves, and a smell of sulfur led many to believe that doomsday was approaching. 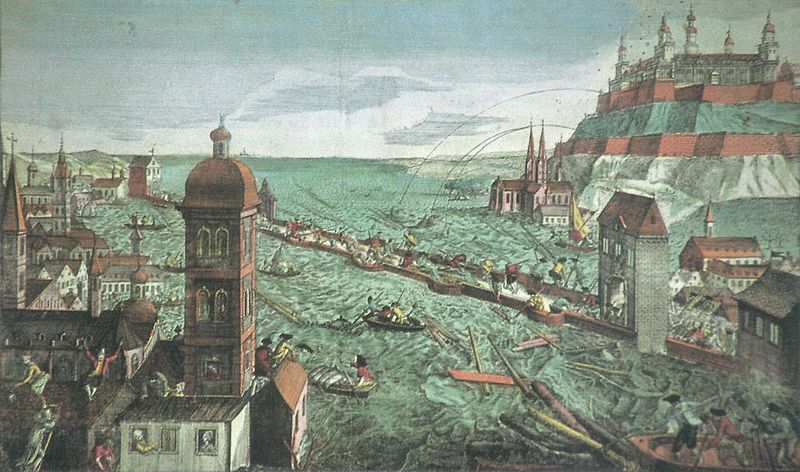 Others tried to find a natural explanation and suggested that the “sun smoke” was a consequence of the strong earthquakes in southern Italy in February 1783 . Ultimately, by the time that the news from Iceland reached Europe, the strange fog had disappeared and the interest in understanding its causes had subsided. In Great Britain and France, the haze was followed by an increase in mortality rate (11500 excess death in Britain). Some scientists link these deaths directly to the Icelandic “killer cloud”. Although aerosols from Icelandic volcanoes could cause increased mortality in Europe, some scholars point out that in 1783, the mortality in England only peaked a few months after the fog was gone. More importantly, it seems unlikely that the Lakagígar haze caused massive poisoning in England and France while it did not do so in Iceland, where the concentrations were much higher. The winter of 1783-84 was very cold in Iceland, Europe and North America . The harbour of New York was frozen, and in mainland Europe rivers froze and towns were covered in snow. When the thaw came at the end of February, the melting snow over frozen, impermeable ground caused severe flooding. To make things worse, the ice on the rivers broke open and piled up in dams which at the end collapsed under the pressure of the flood, causing surges of water and ice floes. In Germany, more then twenty bridges were destroyed. In Iceland, the sea-ice from Greenland blocked several harbours, not only in the North, but even in the normally warmer Southeast. The snow in the South melted only in May, and even by June only the topmost inch of the ground had thawed, hampering the growth of grass. In Northern Iceland, the snow remained till June. Several observers, including Benjamin Franklin and the Icelandic medical student Sveinn Pálsson, blamed the unusual fog for the cold, postulating that it had blocked the sun’s rays. Indeed, it is now known that major stratospheric eruptions can cool the climate for a few years (the most well-studied example being the Pinatubo eruption 1991). However, most of the aerosol from the Lakagígar likely remained in the troposphere and should have rained out rather quickly. Climate models, when fed with aerosol concentrations representative for the Lakagígar eruption, mostly do show significant cooling over the Northern hemisphere, but mainly in autumn 1783, not in the following winter. So while it is plausible that the Lakagígar haze caused severe cooling, it is not yet proven. In summary, while the immense lava streams ejected during the Lakagígar eruption only had a regional impact, the impacts of the volcanic gases were certainly felt over large parts of the Northern hemisphere. The gases from Lakagígar created a volcanic haze which caused panic and possibly health problems in Europe, but may also have had severe impacts on climate. However, the societal impacts of the eruption were nowhere as disastrous as in Iceland, and in Part II I will examine the aftermath of the Lakagígar eruption in detail. Blog post written by Dr Claudia Wieners. The next installment is coming soon! Lava domes form when lava is extruded from a volcanic vent, but is too viscous to flow far away. Think of thick treacle that does not flow as easily as runny honey, and so when it is extruded, it forms a “lava pile” around the vent. Lava domes commonly form within the crater of a larger volcano (e.g. Mt. 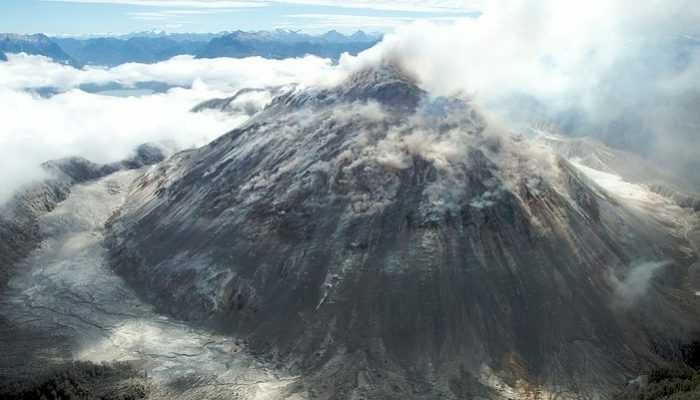 St. Helens), but can also stand alone or form part of a “dome complex”. A lava dome can take on a variety of shapes and sizes dependent upon many factors, including lava chemical composition, viscosity and extrusion rate. Some of the different types of lava domes range from “pancake domes”, generally short and wide, to “spiny domes”, where lava cools and breaks into blocks of rock. Volcanologists have observed over time that every lava dome is different, even at the same volcano or during the same eruption. The number of factors that influence the behaviour of a lava dome makes it difficult to understand the processes occurring during lava dome growth. There is still a lot of research necessary before we can think about forecasting behaviour during a dome-building eruption. There are many hazards associated with dome-building eruptions, and they are often linked to explosive volcanic activity. In the same way that landslides occur in a slope made of soil, lava domes can collapse if they become oversteepened. Lava dome stability can also be affected by intense bouts of rainfall, as the rainwater can be pressurised when it comes into contact with the hot dome (temperatures at eruption are generally in excess of 850˚C), thus turning the rainwater into steam and forcing the solidified lava to fracture apart, causing collapse. Other causes for collapse include a build-up of gas within the dome, or a change in direction of the lava extrusion. 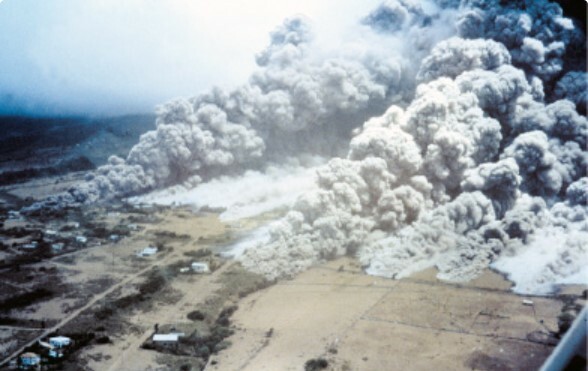 Pyroclastic flows from dome collapse in Montserrat, June 1997. Credit BGS. A number of things can happen when a lava dome collapses, ranging from small scale rockfalls, to debris avalanches, to pyroclastic density currents (turbulent mixtures of gas and rock that can travel at speeds of over 100 kilometres per hour). Any of these can be devastating to communities surrounding the volcano, as pyroclastic density currents cannot be redirected using the same methods that have been utilised for lava flow diversion. Despite how dangerous these events can be to populated areas, very little is known about various causes of a collapse. This is mainly because the internal structure of a lava dome is uncertain. We think there is a ductile, frictionless core that is surrounded by a solid, friction-controlled rind (think of a soft caramel encased by hard chocolate). A dome often also includes talus aprons, which are piles of loose rubbly material that accumulate due to rockfalls that occur during dome growth. Research into lava dome collapse can be split into three main areas: field observations, analogue and laboratory experiments, and numerical modelling. Field observations of real life environments and landscapes are vital for creating conceptual models of a lava dome. After fieldwork at both Mt. Unzen and Soufrière Hills Volcano, my research has focused on numerical modelling of lava dome collapse. 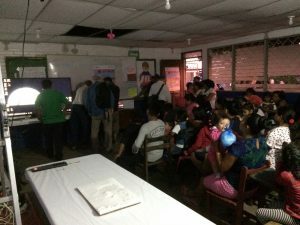 The aim is to build a computer simulation of a lava dome, and then change conditions in the model to create various “model scenarios” for collapse. This allows us, for example, to change the gas pressure (something we know to cause collapse at a real dome) in our synthetic lava dome, and vary the time period over which forces are exerted upon the dome. To do this, we use discrete element method (DEM) modelling. DEM considers the simulated lava dome as an assembly of individual particles/blocks, which means that the model can evolve dynamically and the particles act according to gravity and their interactions with neighbouring particles. We generate a particle based material that represents lava. We then give the particles a speed and a direction to simulate extrusion, and we control the point at which parts of the material start to behave as a solid (i.e. representing a realistic cooling/solidification process). Although these models are still in development, we are able to replicate the growth patterns observed at lava domes. For example we see when a lava dome reaches its maximum height (determined by the rock properties), it starts to grow outwards rather than upwards. We aim to create software that can further our understanding of the processes occurring within a dome, with the ultimate goal of use in observatories. 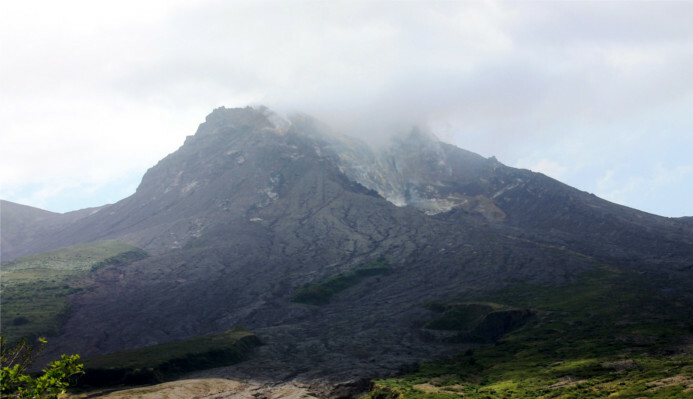 Scientists monitoring the volcano could then input what they see occurring during a volcanic eruption, and have a greater chance of predicting what will happen next. These models are proving to be a really exciting and innovative way to study lava dome growth and collapse, and will reveal some of the mysteries of lava domes and the dangers they pose. A movie of lava dome emplacement, where red material acts as ductile core, and grey material acts as solid rock. Blog post written by Claire Harnett. For more information, keep your eyes peeled for the paper coming soon! Or get in touch with Claire on Twitter.